1-2% of couples suffer from recurrent miscarriages. It is devastating for the couples and families. Almost all couples want to know the reasons and answers for their losses. There are several reasons for this. They also want reassurance that next pregnancy will be safe. Most of them are anxious and do not want to embark on another pregnancy without knowing the reasons and without a plan of management for their next pregnancy. Early diagnosis and timely intervention prevent further miscarriages. It is important that your health care professional who is dealing with your recurrent miscarriage is knowledgeable, experienced, skilled, up to date with current research evidence and willing to form a partnership with both of you to provide a holistic approach with continuity of care. What are the causes for Recurrent miscarriage? Maternal age and number of previous miscarriages are independent risk factors for a further miscarriage. Risk of pregnancy loss is lowest in women aged from 20 to 35 years of age. Around 1 in 6 pregnancies end up in miscarriage. This goes up to 1 in 3 to 1 in 2 after 40 years of age. Some studies also suggest a link with high paternal age with miscarriage. Results from studies are conflicting. However there appears to beincreased risk for miscarriage in ladies who smoke, consume caffeine, consume alcohol or with high BMI. Stress is associated with miscarriage but a direct causal link has not been established yet. Chromosomal abnormalities of the embryo accounts for 30 – 57% of further miscarriages. This risk increases with maternal age. Around 2-5% of couples (one of the couple) may carry a chromosomal abnormality (translocation). Risk of miscarriage is associated with the size of the abnormality. Parental Karyotype (chromosome) is tested from blood sample form the both parents. Fetal chromosomes can be tested from tissues obtained during miscarriage or during surgical management. Results will be available in 4weeks. Couple will be offered genetic counselling if they carry a chromosomal abnormality to assess their risk for any future pregnancy loses. This accounts for 1.6 to 37.6% of recurrent miscarriages. Prevalence of uterine anomaly increases in ladies who had late miscarriages. 3D ultrasound scan will confirm the diagnosis. It is an internal ultrasound scan with a 3D probe. Results will be available straight away. Surgical removal / correction of the anomaly. Outcome is usually good depending on the anomaly and correction. Success is better if performed by experienced surgeon. It is an important cause for 2nd trimester miscarriage. It is often diagnosed with history alone. Internal ultrasound scan confirms whether the cervix is short or dilated before labour which is a sign of incompetence cervix. Cervical stitch (suture around neck of the womb). This should be done during early pregnancy to prevent premature opening of the cervix. This can be done under general or spinal anaesthesia. You will be staying overnight after the procedure. Success rate is really good if suture is properly inserted. There are small risks associated with the procedure including preterm labour, rupture of membrane, infection of the womb and failure. Therefore, it is important that an experienced surgeon do this procedure. This includes fibroids that enter or put pressure the cavity of the womb and endometrial polyps. There is no research evidence to prove removal of these will prevent further miscarriage. 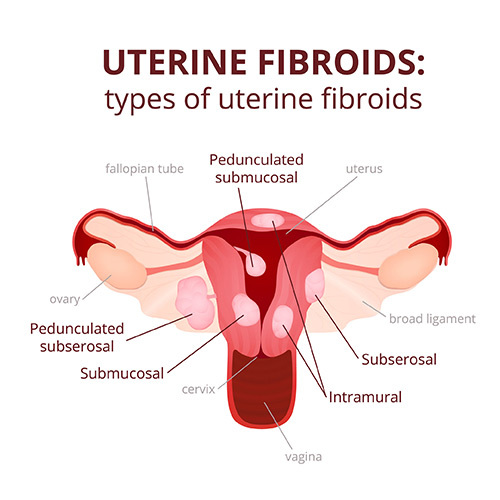 However, many experts believe it makes sense to remove any fibroids that interfere with the uterine cavity and implantation to improve future pregnancy outcome. However, it is important that an experienced reproductive surgeon carry out these surgeries as there are risks associated with these surgeries. With experienced surgeon these risks are minimal. Surgery to remove these. It can be done via hysteroscopy (telescope to womb), key hole or open approach depending on the size, location and experience of the surgeon. Abnormal thyroid function is associated with miscarriage. Treatment with thyroxin tablets usually corrects this. But needs regular monitoring of levels. Blood test from the mother. Results will be available on the following day. There appears to be a link between PCOS and recurrent miscarriage. However, the exact mechanism is not clear. History of symptoms, blood test and internal ultrasound scan. Blood test should be performed from day 2 to day 4 of the cycle. Results will be available on the following day. Poorly controlled diabetes can cause recurrent miscarriage. Well controlled diabetes is not associated with recurrent miscarriage. It is one of the most important treatable cause of recurrent miscarriage. Around 15% ladies with recurrent miscarriage suffer from this condition. Blood test from the mother. Test can be performed on any day of the cycle. If you have had a recent miscarriage, it is advisable to wait for 6 weeks before performing this test. Results will be available in 2 – 3weeks. Low molecular weight heparin injection and low dose aspirin tablets throughout pregnancy. There is a weak association between thrombophilia and recurrent miscarriages. If you have thrombophilia you may be at high risk for blood clots. Blood test from the mother. Tests can be done any day of the cycle. Results are available in 2 – 3 weeks. Any severe infection with systemic spread can cause sporadic miscarriage and pre term labour. However, infections are unlikely cause for recurrent miscarriages. Therefore, routine testing for infection is not recommended for recurrent miscarriage. There is growing evidence for association of recurrent miscarriage with immunological factors. Most important one is natural killer cells (NK cells). Natural killer cells are immune cells produced by the blood forming cells and circulate in the blood. They also migrate into different tissues including lining of the womb to become uterine natural killer cells (NK cells). Their main function is to serve as immunological defence against tissues. There is an association with increased uterine NK cells and recurrent miscarriage. However, a direct causal association has not been established yet. This is a matter of intense research now. Royal college (RCOG) statesthat Uterine NK cell testing in women with recurrent miscarriage and recurrent implantation failure is still a matter for debate pending further evidence and should be regarded, for the time being, as within the realm of experimental medicine. They also advise there is, as yet noproven effective treatment for those with what may be considered abnormal results,although preliminary data suggest a possible positive effect of prednisolone. NK cells are present in blood and in the lining of the endometrium. Uterine NK cells are tested by taking a biopsy (scratching of the womb ) from the lining of the womb. This is a minor outpatient procedure and has to be done at a particular time of the cycle. Results will be available in 2 weeks. There is growing research currently in the field of male factor contribution to recurrent miscarriage. Most important one is sperm DNA fragmentation.There is amoderate body of evidence indicating associations between recurrent miscarriage and poor-quality sperm, particularly sperm with elevated DNA fragmentation. European Society for Human Reproduction and Embryology (ESHRE) advises sperm DNA testing can be considered for couple with recurrent miscarriage for explanatory purposes only. There is no definite treatment available as yet for this condition other than preventive measures to avoid sperm DNA damage. This includes healthy life style such as stop smoking, avoid excessive alcohol intake, maintaining a healthy weight and avoiding excessive exercise. What if all my tests become normal? A significant proportion of cases of recurrent miscarriage remain unexplained despite detailed investigation. According to Royal college evidence, they can be reassured that the prognosis for a successful future pregnancy with supportive care alone is in the region of 75%. It has been shown the prognosis for future pregnancy is excellent with supportive care in a dedicated early pregnancy clinic. Therefore, it is important that you are cared for by professionals who are specialist in early pregnancy and miscarriage. Implantation failure is a term used to describe when someone miscarriage very early before the confirmation of the pregnancy by ultrasound scan. Usual history will be the patient misses her period and urine pregnancy test becomes positive. She will then have a bleeding and urine pregnancy test becomes negative. This is similar to chemical pregnancy. What about Progesterone for recurrent miscarriage? There is conflicting evidence on this. However, most recent Cochrane (Oct 2018) review concluded thatevidencefrom randomized controlled trials has shown that giving progestogen medication can probably prevent miscarriage for women with recurrent previous miscarriages. It has also been shown clearly from studies that progesterone use in pregnancy is NOT associated with any fetal abnormality. Therefore, progesterone is safe in pregnancy. What can you offer for recurrent miscarriage patients? Mr Vathanan has had advanced training in early pregnancy and has excellent experience in managing couples with recurrent miscarriages. He is the Lead clinician and running a dedicated recurrent miscarriage clinic at his local NHS Trust. Mr Vathanan offers complete range of investigations for couples with recurrent miscarriage including uterine NK cell biopsy. He offers all the investigations listed above and many others if needed. He aims to complete investigations as soon as possible, including some at the first visit to limit your visits and time taken to arrive at a diagnosis. He runs his clinic in a homely, friendly and confidential environment for couples to have consultation and investigations in a relaxed environment. He performs 3D ultrasound scan to diagnose uterine anomalies rather than invasive hysteroscopy. This technique avoids unnecessary anaesthesia and associated complications with hysteroscopy.He is highly trained and experienced minimal access (key hole) and reproductive surgeon. He performs all surgeries (if you need any) himself, providing a high quality, continuity of care with best possible outcome. Most important aspect of his care is that Mr Vathanan firmly believes in holistic and continuity of care. His commitment does not end with investigations. He works with you to make a detailed plan for future pregnancy. Mr Vathanan himself review you when you get pregnant. Mr Vathanan is an expert in early pregnancy. He will regularly follow up you in his early pregnancy clinic till 13 weeks. If you decide to deliver at his NHS trust, he will continue your antenatal care in his antenatal clinic (requires midwife referral to his clinic), thereby he provides a holistic, continuity of care from your 1st visit to his recurrent miscarriage clinic till delivery. Thereby, all management plans are implemented properly and you will be looked after by the same doctor each and every time. If you decide to deliver your baby somewhere else, he will transfer and hand over your care to your chosen provider.